If you want to get noticed in the search engines, you need to know a little bit about search engine optimization or SEO. If you don’t have any idea what that is, then you need to hire a professional SEO expert to help you navigate these very important waters. This article will discuss the importance of having relevant, regularly updated content on your business website and will also focus on proven business SEO strategies for Wareham small and mid-sized businesses. You can use these tips to help you improve your visibility, boost your traffic and ultimately, increase your profits. When most people think about search engine optimization they think about keywords and key phrases. Years ago so-called gurus would charge businesses hundreds and thousands of dollars to manipulate those keywords to the benefit of rankings and listings in the top search engines. Today, those techniques are not used by professional SEO experts and business owners are warned off from using them on their own. Not only will those old tricks no longer boost your visibility in the search engines, but they could also cause your site to get banned and removed from the engines completely. Business SEO strategies for Wareham should include creating well-written, relevant and regularly updated content for your website. This should be done for pages, product listings, service descriptions, blog articles and other essential text-based content. Everything should be optimized to include keywords and phrases that are relevant to your business and the topics that you are writing about on the page. The more relevant the keywords are to whatever it is you are selling, the better your listings will be in the search engines and the more useful your pages will be to potential customers. One of the most important elements of proper search engine optimization is to have a well-designed website that complies with agreed upon web standards for truly accessible viewing. 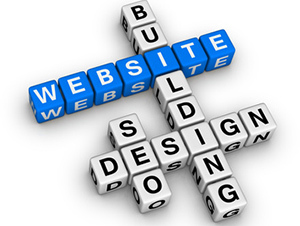 Your website should be easy to navigate and should be updated on a regular basis. When you hire a professional SEO expert, expect to have them look over your website and give you suggestions on changes that can be made to improve the flow and accessibility of your business website. Wareham Web Design offers both web development services and business SEO strategies fo Wareham and Southeastern Massachusetts clients. When done correctly, search engine optimization should help you to increase traffic numbers, improve the quality of that traffic, which will in turn increase conversion ratios, which translate to more sales and better results. The better your SEO, the higher your ranking will be in the search engines, making it easy for your customers to find your business website. In addition to employing SEO strategies on your website, you should consider using search engine optimization on your social networking pages as well. Facebook in particular can help you to share new and useful content, which will in turn bring customers to your website. Building a community network with other like-minded business websites, working together to increase your local reach within Wareham and the surrounding area, while making relevant posts, comments and responding to questions. While all of these things will help to boost your ranking in the search engines and increase your traffic, it cannot be stressed enough just how important it is to include relevant terms and content in your social media marketing campaign. The interaction opportunities with your customers and potential customers alone will help to increase traffic to your website, but the ability to add more search engine optimization in yet another unique way is even more beneficial. Even if you know a little bit about search engine optimization, it is in your best interest to hire a professional SEO expert to take care of establishing your business SEO strategies for Wareham. An expert can help you figure out what type of relevant, regularly updated content should be used, which keywords should receive the most attention and which ones should be ignored all together. For best results, it pays to hire a pro, at least when it comes to website development and SEO work. Contact Wareham Web Design to find out more about our search engine optimization services. You can reach our customer service team at 508-415-8468 or use our online contact form to request an appointment or virtual tour of the other services we provide. We can help you to improve your current website, design you a brand new website and help get your business noticed in the search engines. Call today to take advantage of all our business SEO strategies for Wareham business owners.